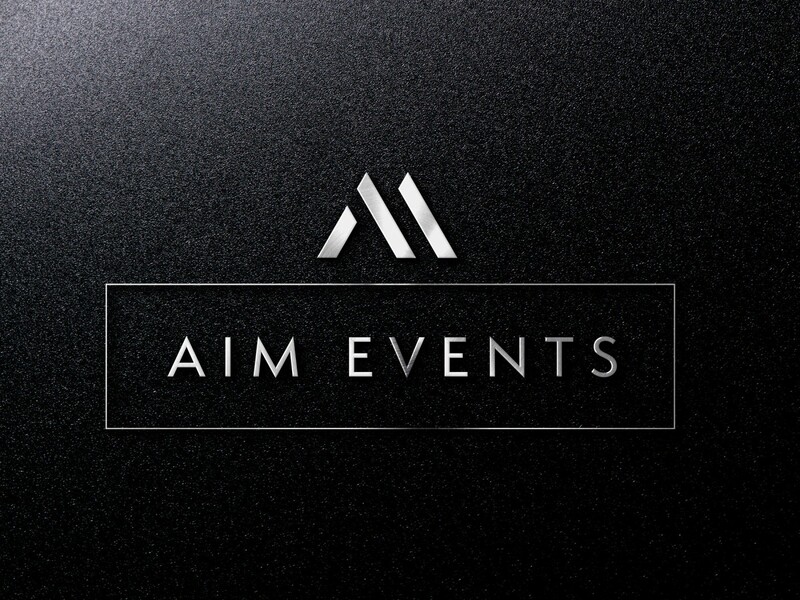 I was very excited when the CEO of AIM Events approached me to share his vision. 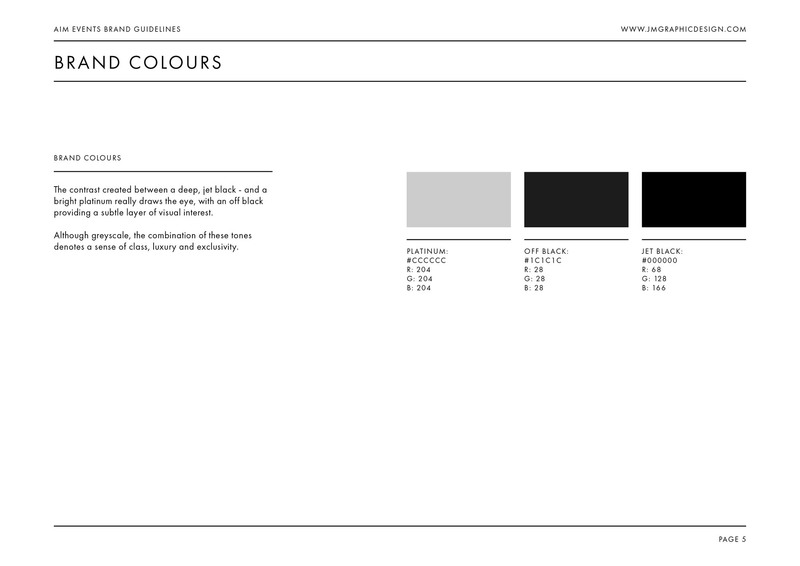 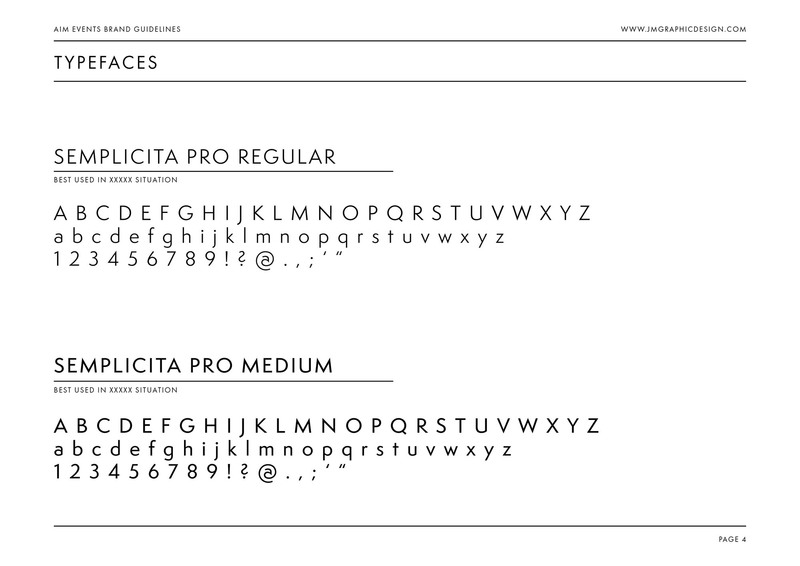 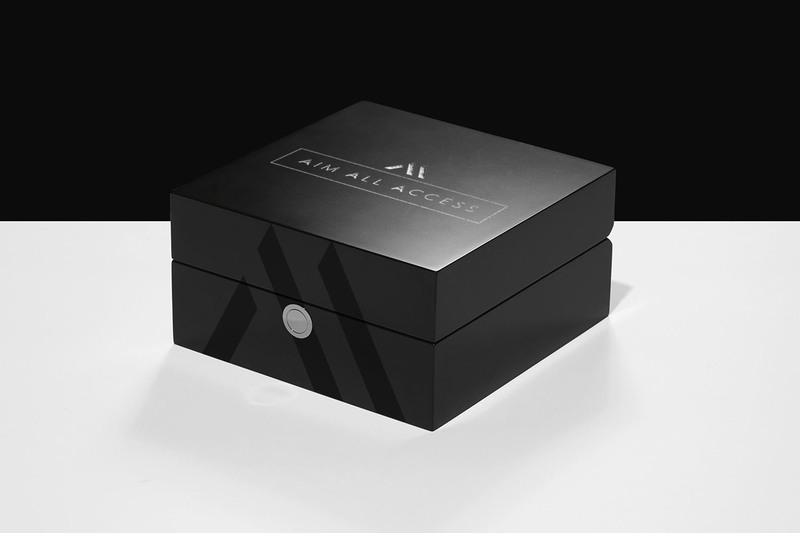 A complete branding makeover and a modern, fresh website – as well as bespoke packaging design. 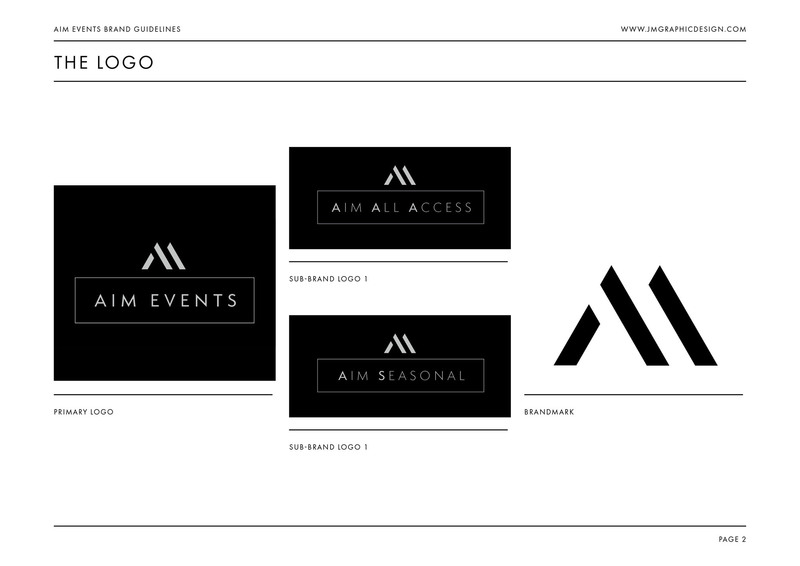 We began as always with some research and strategy, to determine just where AIM Events should be positioned, and ensure we created a brand that appealed to it’s target demographic. 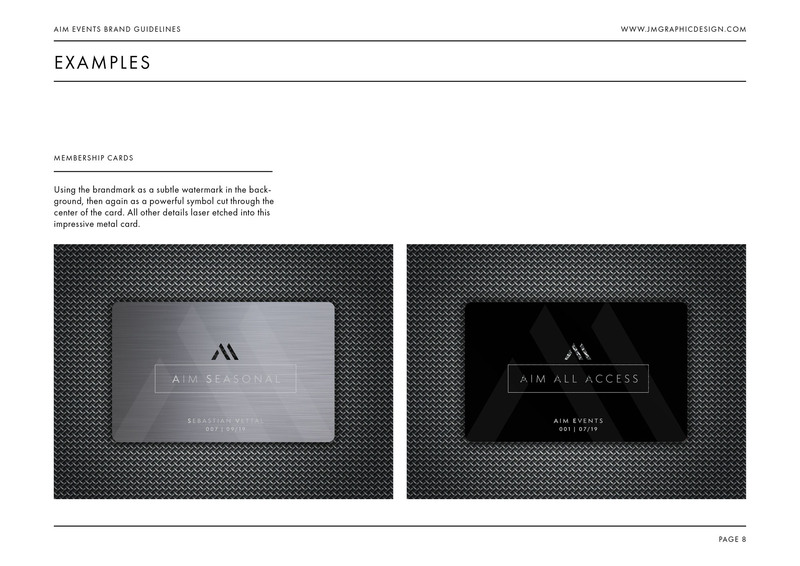 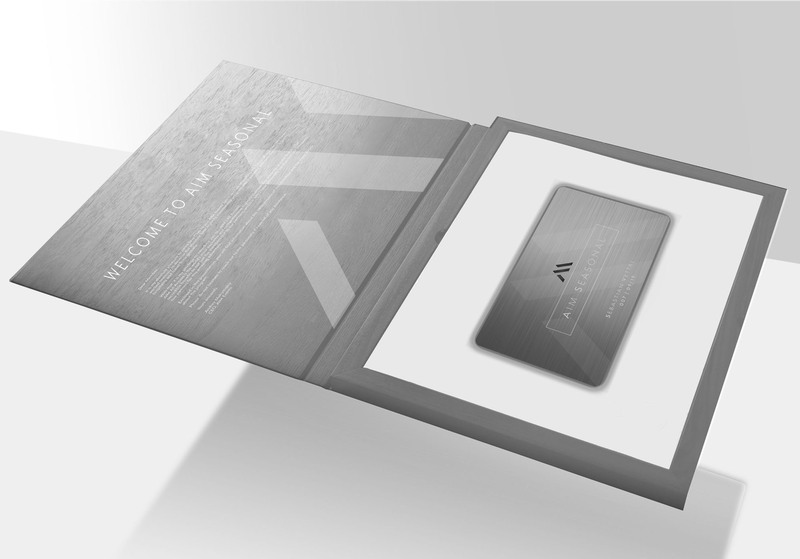 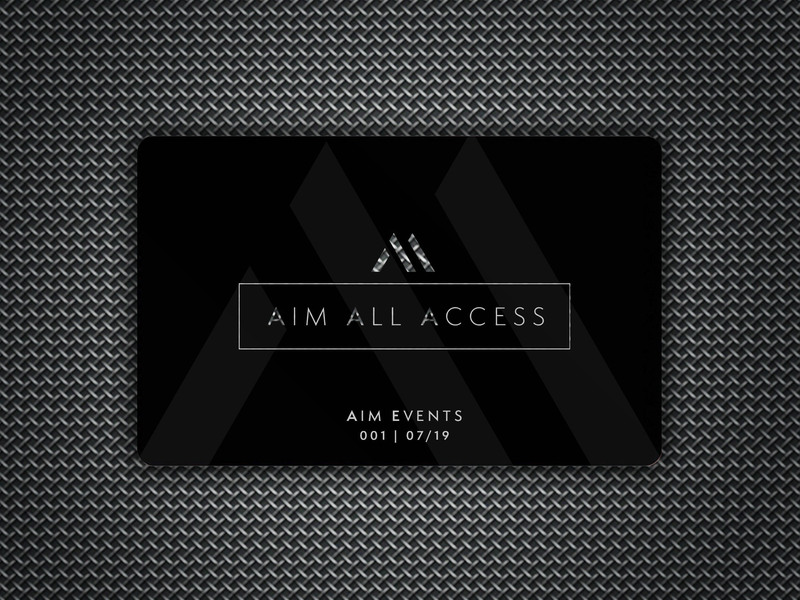 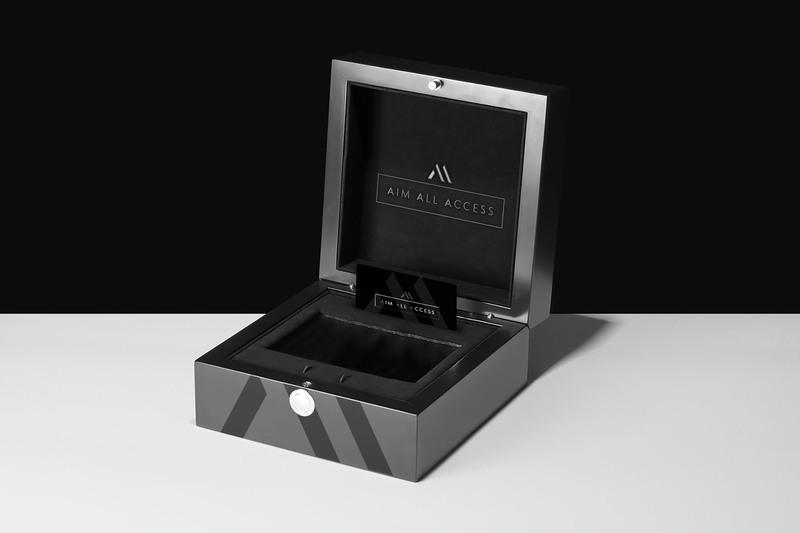 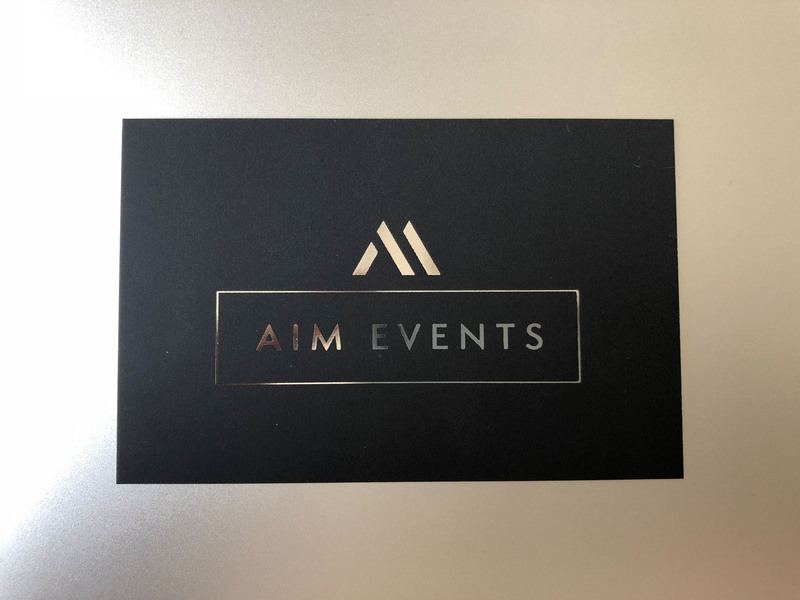 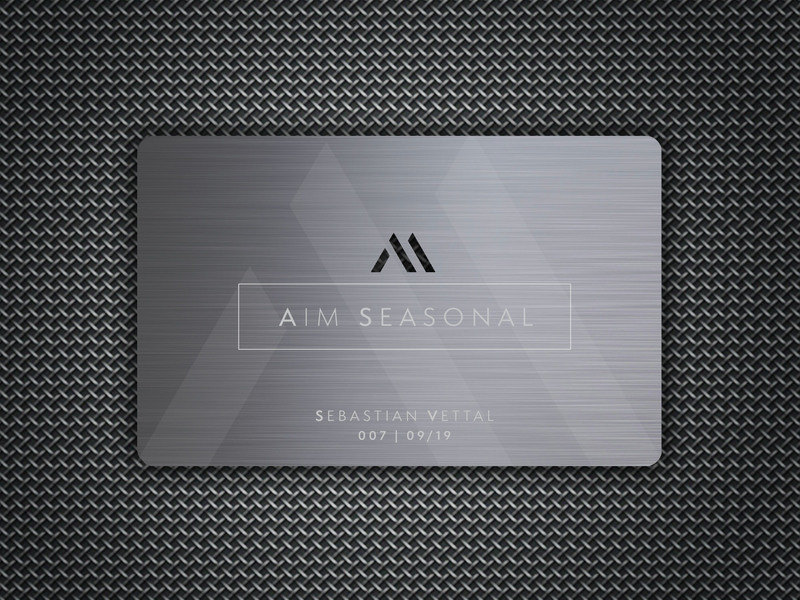 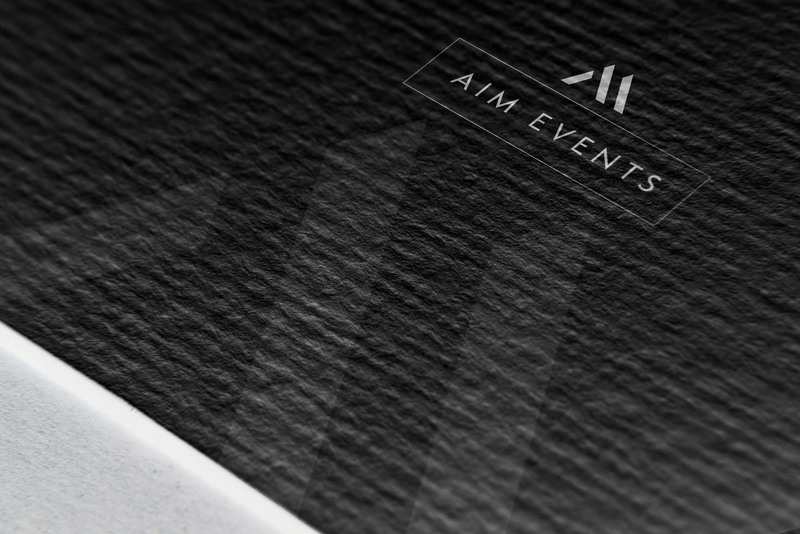 AIM Events are one of the world’s first companies to combine world class event management with an exclusive nightlife membership service. 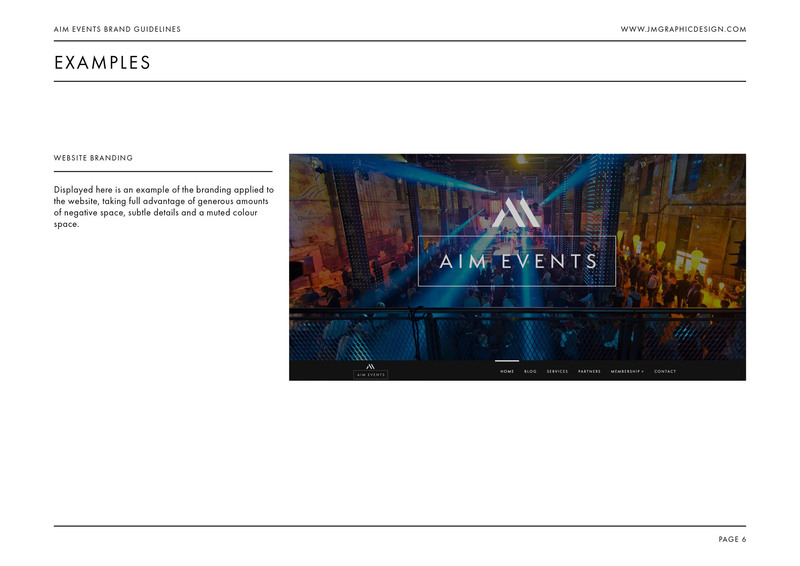 They work with clients around the world to create bespoke events and cater to their every need. 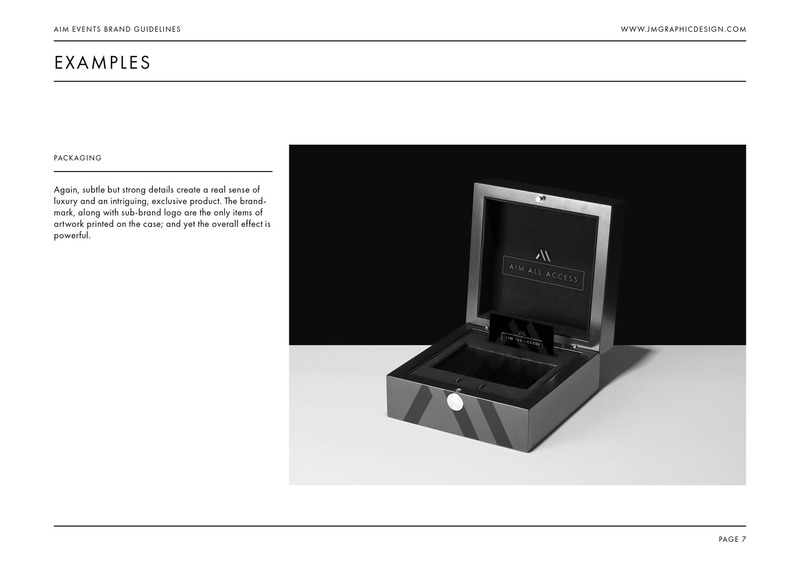 The brand needed to exude exclusivity, with every aspect lending itself to a sophisticated, exclusive brand that feels on trend, but far from mainstream. 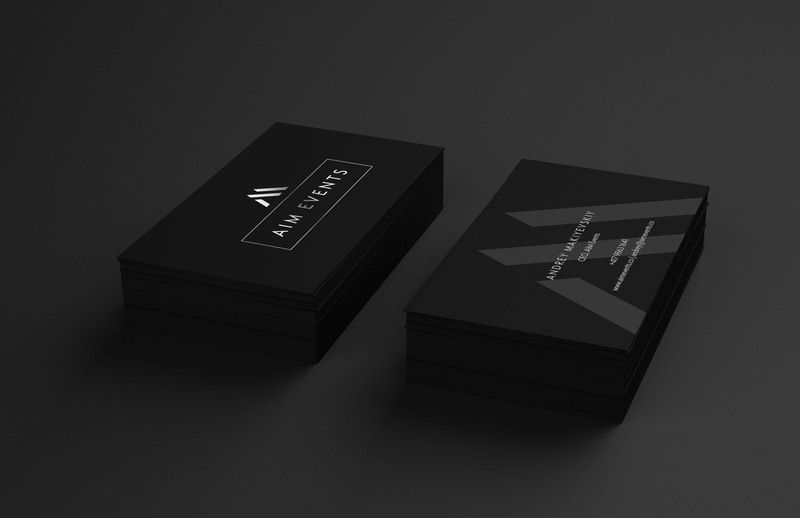 Platinum on black was the perfect colour scheme, complimented by sharp, edgy and modern typefaces to create an unmistakably premium, elite feel to the brand.